I don’t decorate for Easter, so I don’t really have a lot of crafts going on for the holiday. 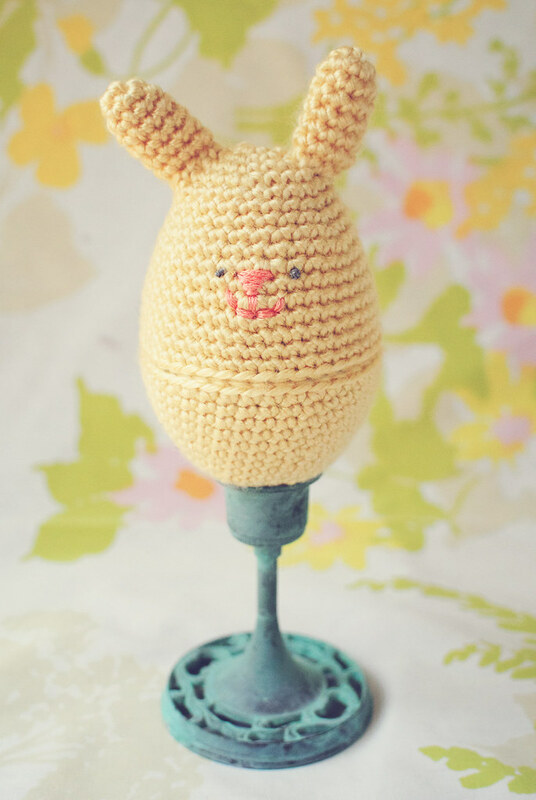 When my husband went out of town a few weeks ago, I had the bright idea to crochet an Easter egg. After making the bottom half, I decided the top half must resemble a bunny. Yep. 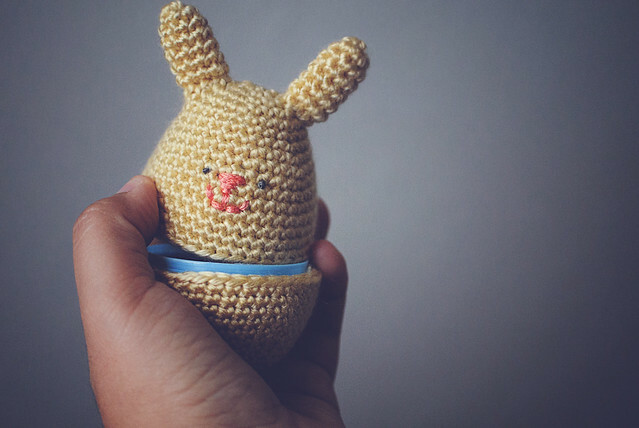 It’s basically amigurumi you can open and fill with candy. I wasn’t 100% satisfied with the face stitching, but it’s growing on me. The ears really get me, though. Why are bunny ears so irresistible? ETA pattern is now available HERE. So, very very cute. I love the idea of amigurumi filled with candy. Yes, yes! I think amigurumi stuffed with anything other than polyfil is pretttyyy awesome. love the bunny! will you be publishing the pattern? 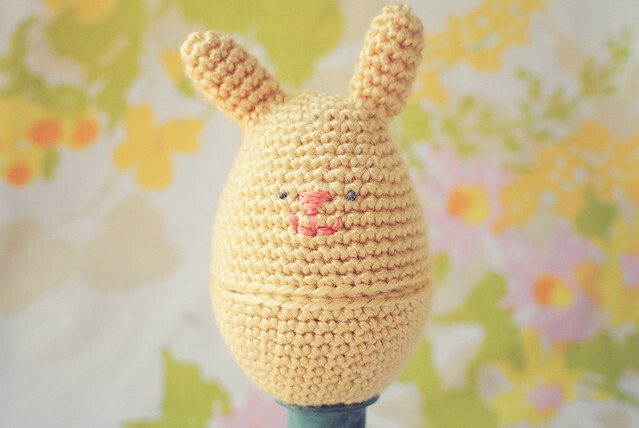 These would be fun to make for Easter. Adorable! 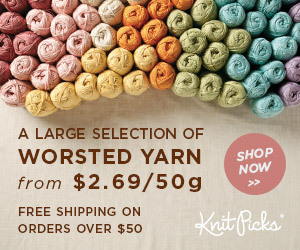 Love visiting you & seeing all your new creations!